The Dairy says “gut gemacht”, after promoting Account Manager, Verena Batchelor, to Account Director! West Bridgford-based creative agency The Dairy has made Account Manager Verena Batchelor part of its senior management team, after promoting her to the position of Account Director. Verena has been with The Dairy since 2014 – overseeing a range of high-profile accounts and bringing with her skills in video production. She studied Art History, English Language & Literature, and Italian at the University of Bonn in Germany, before moving to England and completing a BA in Art History and a masters degree in Visual Culture at the University of Nottingham. Prior to joining The Dairy, Verena worked for a Nottingham-based video agency as well as working in her home country of Germany in a freelance capacity, and enjoying a short stint as a presenter on a German TV channel. After four years working closely with The Dairy’s portfolio of clients – including Gala Bingo, Nottingham Trent University and the NHS – The Dairy’s MD Nigel Rowlson was keen to promote Verena to the company’s senior management team and give her more responsibility for the day-to-day operation of the agency, as well as continuing to manage a range of successful accounts. “When Verena joined the agency, she transformed how we worked – getting the business operational in G Suite and other cloud based systems,” explains Nigel. 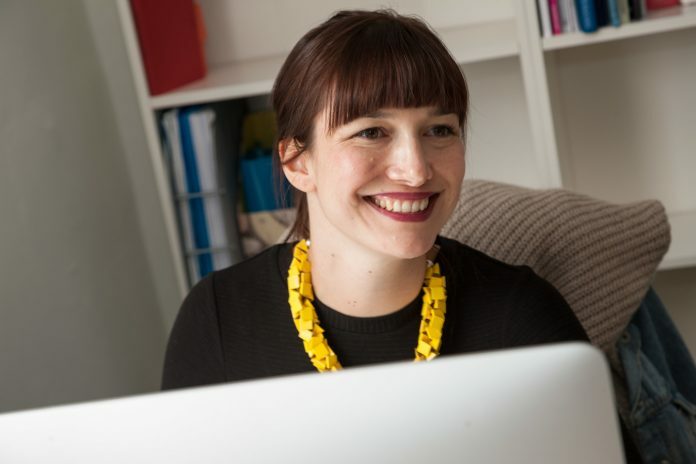 “She is a vital asset to the business, bringing with her fantastic organisational skills and an abundance of creativity which has seen her work on some of The Dairy’s landmark projects – such as the flamingo campaign last year for Gala Bingo. I look forward to seeing her continue to develop and produce more exciting campaigns that deliver great results for our clients,” added Nigel. Verena is excited by her new role and responsibilities – and looks forward to a bright future for herself and the agency; “The Dairy has been a great company to work for over the past four years, and Nigel puts a lot of faith and trust in his employees – which has seen the agency grow and go from strength to strength,” said Verena. “I am really looking forward to my new role and continuing to grow and develop my skill set with The Dairy!” added Verena.